Home Columns A Venglos View Exclusive – Unlikely Villa Park Crime Boss Exposed. Exclusive – Unlikely Villa Park Crime Boss Exposed. Below are the first shocking pictures to uncover the kingpin who’s behind the supposed new Villa Park crime of blocking supporter’s view of the game with supportive messages for club captain Stan Petrov. Supporters in the Upper Holte End have already labelled him ‘MV’ – allegedly short for ‘Mini Villan’. As you can see from the above picture, when MV is in full flow, he’s unstoppable. This poor victim never stood a chance at point-blank range, as MV almost suffocates him with a banner. An eye-witness source told MOMS, the victim couldn’t see the match for a full half of 45 minutes. While ‘banner-blocking’ is now considered a criminal activity by the club, a source close to MV, claims the idea actually started with purely good intentions. In the following weeks, MV did a lot of good work saving many Villa fans from seeing several shocking displays by McLeish’s team. 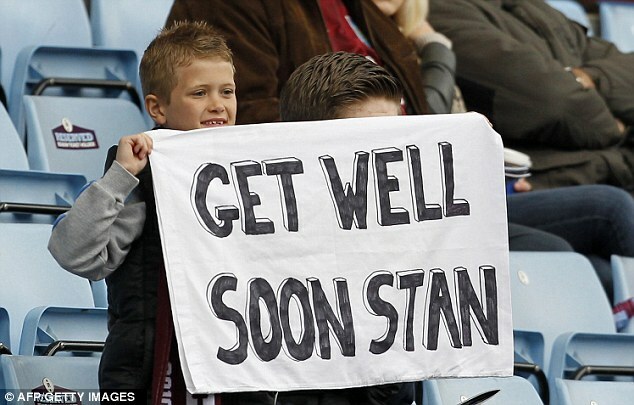 When the sad news of Stan Petrov’s plight broke, MV decided to honour his favourite player with a supportive message on the other side of his view-blocking banners. After McLeish left Aston Villa, many thought MV would cease his operations. But in preseason, while MV followed Villa on their US tour, despite the new passing-style approach of new Villa manager Paul Lambert, MV couldn’t stop himself. After terrorising Villa fans in Chicago, Philadelphia and Portland with his banner-blocking, he soon realised he was uncontrollably addicted. Post the US-tour, rumours that MV had recruited the Villa fan group Brigada 1874 to carry out his evil doings, turned out to be true in the first home game of the new season against Everton, when under his orders a ‘One Stan Petrov’ banner was surfed for one minute during the regular 19th minute tribute to Villa’s club captain. Apparently, MV was furious with Brigada, since the club only received a mere nine complaints regarding the banner. He was hoping for double-figures at least. He blamed Brigada for an apparent misunderstanding of his orders. “MV clearly told Brigada to block fan’s views in L8 with the ‘One Stan Petrov’ banner for ’90 minutes’ not for the ’19th minute,’ said a source. Rumours coming out of Villa Park today suggest that the club will be on red alert on Saturday when Villa entertain Swansea, after a tip-off that MV is looking to make up for this mistake. Apparently, he’s enlisted the Upper Holte to drop a giant ‘One Stan Petrov’ banner over the whole of the Lower Holte, when the scoreboard clock strikes 3.19pm. 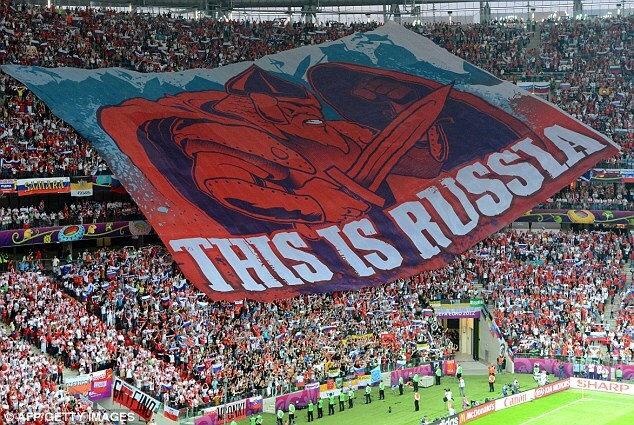 It’s a technique MV tested successfully during the European Championships while travelling undercover as a Russia fan. Many thanks to MV’s parents for getting in touch and expressing their enjoyment of the above article. His dad Mark told MOMS, when MV (aka Matthew) isn’t ruling Villa Park with an iron fist, the nine-year-old is making great progress on the pitch. In a game for the Villa academy at Bodymoor Heath (which his dad is happy to admit brought a tear to his eye to see his son running out wearing the Villa shirt), Matthew netted a hat-trick on his debut! The bad news though is Matthew had already signed up for Walsall FC. Still, we wish him the best there and hope that he returns to wearing Villa colours when he’s older. UTV. * A Venglos View is a satirical column. In fact, this particular one is as ridiculous as the club’s decision to ban the use of the Brigada’s ‘One Stan Petrov’ banner during the 19th minute applause. We hope this story highlights the need for common sense on allowing the ‘One Stan Petrov’ banner to fly during the one minute’s applause for Stan. UTV.